Toptal supports developer communities all over the world and is proud to partner with Mobile Monday, an open community of mobile industry visionaries, developers, and influential individuals fostering brand neutral cooperation and cross-border P2P business opportunities through live networking events to demo products. Their next event will take place on March 27th in Kathmandu, Nepal. The theme of this meetup will be “Market of Mobile Technology” so if you want to hear more about the mobile market and Mobile apps market in Nepal, make sure to drop by. 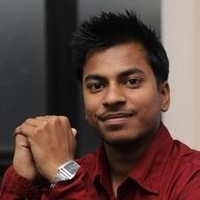 One of the event speakers will be Punit Jajodia, a Toptal developer and Community leader, who will talk about Toptal. The event will take place at Moksh, starting at 3:00 PM. For more information on the event, please visit the event website or contact Punit Jajodia.